September is notorious for being the biggest issue for most magazines. It's also the only time of the year that a fashion shot makes the cover for 225 Magazine. I was very flattered to be asked to shoot this year's fashion editorial spread and cover for the September issue of 225! My birthday is September 2 so I feel like they must have done it just for me. Haha. I have been doing the past few style shoots for 225 this year, but this one was extra fancy. 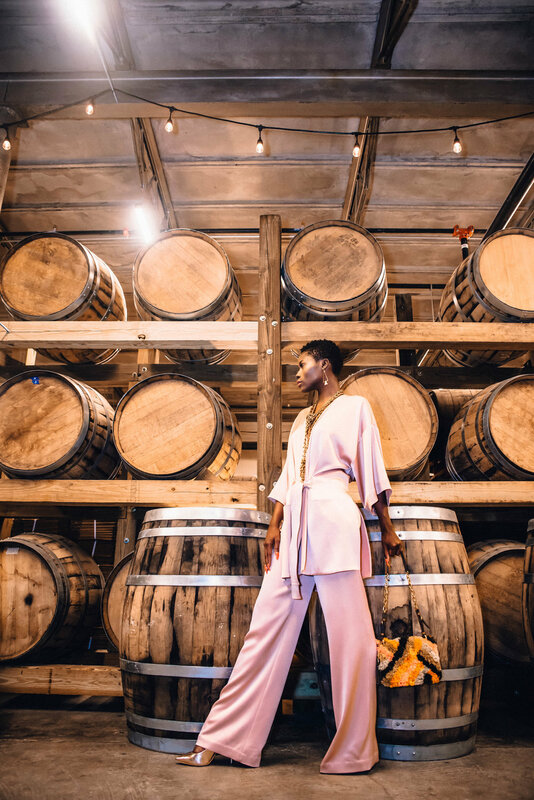 The idea for this fashion photography spread was to shoot in new restaurants across Baton Rouge and in dressier cocktail attire. That made it a bit tricky for me in terms of lighting (we shot during business hours for most of these, so to not make a scene I just used my Nikon speedlight on top of my camera with a diffuser.) We had a great style team though and I got some of my favorite fashion photos yet!